Home » Diabetes • Health A-Z • Live Well » Fasting Blood Glucose For Diabetes: Why Is It Important? 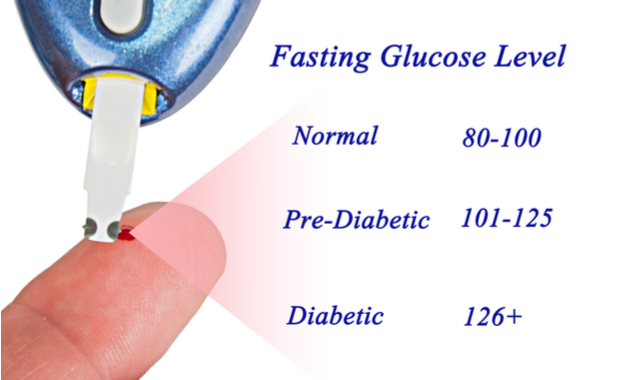 Fasting Blood Glucose For Diabetes: Why Is It Important? The fasting blood glucose test is one of the most common tests prescribed for diabetes. It is a blood test that measures the levels of glucose in the blood in the fasting state (empty stomach). Ideally, it is advised to not eat or drink anything (except water) for 8-12 hours before the test. It is the simplest as well as the fastest test to diagnose and monitor diabetes. Why is fasting blood glucose test important? Diabetes can be of two types: Type 1 and Type 2. Type 1 diabetes is less common and the risk factors are determined by genetic, autoimmune and environmental factors. Type 2 diabetes is more common and its risk factors are determined by old age, stress, obesity, previous history or family history of diabetes, history of diabetes in pregnancy, sedentary lifestyle and impaired glucose tolerance. The fasting blood glucose test is important as it provides the status of how the body is maintaining the sugar levels in the blood. The normal fasting blood glucose ranges from 80 – 100 mg/dL*. When we eat something, the sugar levels in the blood rise immediately to higher levels and decline after some time. But, at the time of fasting, the body should be able to maintain blood sugar levels. During normal conditions, after the intake of a meal, insulin is released by the pancreas as the sugar level rises in the blood. The function of insulin is to normalize the sugar levels by letting glucose being utilized by the cells. But in the case of diabetes, either the body is not able to make insulin or the body is not able to respond to insulin properly. This leads to high levels of sugar in the blood. Therefore, if the fasting blood glucose levels are high, it means that the person is either diabetic or prone to diabetes. If your sugar levels are high, you might experience the symptoms such as excessive hunger, excessive thirst, frequent urination, unexplained weight loss, blurring of vision, tingling sensations or numbness in hands and feet or tiredness. If you experience any of these symptoms, it might be an indication of diabetes. Hence, consult your doctor, who might advise you to get a fasting blood glucose test done to diagnose the condition. If high levels of sugar are not controlled, it can lead to severe complications such as diabetic neuropathy (dysfunctioning of the nerves), nephropathy (dysfunctioning of the kidney) and retinopathy (dysfunctioning of the retina). In addition to all this, diabetes also increases the risk of other diseases such as atherosclerosis (narrowing of blood vessels) and stroke. Thus, it is very important to control blood sugar to prevent diabetes and its associated health complications such as eye problems, kidney damage, heart problems, etc. Blood glucose levels can be controlled by maintaining an active lifestyle, exercising regularly, limiting the sugar intake, avoiding overeating and managing stress. It is also important to monitor your blood glucose levels regularly. To do this, you can buy a blood glucose monitor and do this test at home. You also can get it done from a certified laboratory, as advised by your doctor. *Disclaimer: The reference range might vary from lab to lab. Kelly J. Diabetes. Centers for Disease Control and Prevention (CDC). Chase HP, Fiallo-Scharer R. Blood Sugar (Glucose) Testing. Chapter 7. Papathedorou K, Papanas N, Banach M, Papazoglou D, Edmonds M. Complications of diabetes. Journal of Diabetic research. 6 Foods That Will Help You Get A Sound Sleep! ← National Epilepsy Day: 7 Common Epilepsy Myths Busted!